In this summer of 2005, which marks the sixtieth anniversary of Japan’s defeat in WWII, we are opening the Women’s Active Museum of War and Peace. After the Women’s International War Crimes Tribunal on Japan’s Military Sexual Slavery was held in 2000, we began dreaming of a museum where all the Tribunal records and materials related to the so-called “comfort women” issue could be preserved and made available to future generations. The passion of the late Yayori Matsui, then chairperson of VAWW-NET Japan, was the driving force that led us to realize this dream. 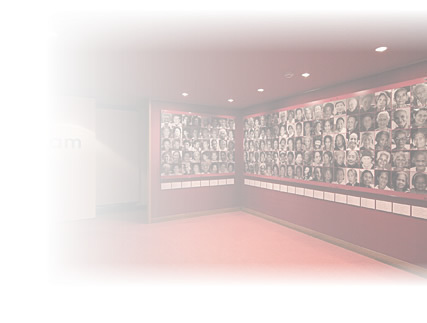 In June 2003, we established the NPO “Women’s Fund for Peace and Human Rights” and launched our “Raise 100,000,000 Yen Campaign” for the museum with an initial support fund from Yayori’s legacy. WAM was conceived by the late Matsui Yayori, a prominent journalist and activist for women’s human rights and dignity. Her vision was to preserve records accumulated for the Women’s International War Crimes Tribunal on Japan’s Military Sexual Slavery which was held in Tokyo December, 2000. The Tribunal sought to bring justice to survivors, and to end the cycle of impunity for wartime sexual violence. “As she speaks of the responsibility of not knowing anger reverberates in the woman writer’s voice” This tanka poem, published in the Asahi in 1987, was written for Matsui, who was serving as Senior Staff Writer at the time. Supported by readers like the one who wrote this tanka, she had already become the first woman to serve as Tachikawa Bureau Chief and the Asahi Shimbun Asian General Bureau Correspondent. But whatever her title, she never lost sight of her true mission as a journalist-to bring to her readers the stories of those whose voices would otherwise go unheard. After retiring from the Asahi in 1994, she founded the Asia-Japan Women’s Resource Center, which became a home base for the further development of her activities both as a feminist and as an international journalist. In 1998, she organized Violence Against Women in War Network, Japan (VAWW-NET Japan), and in 2000, proposed the “Women’s International War Crimes Tribunal on Japan’s Military Sexual Slavery” as a final reckoning to end a century of war and violence. With the cooperation of women from Japan and throughout the world, the Tribunal became a reality. In the fall of 2002, Matsui was told that she was suffering from liver cancer. She devoted the remaining four months of her life to writing her autobiography, and realizing her plan for a “Women’s Museum of War and Peace” that would serve as a center to carry on the action she had begun. She died on December 27, 2002, leaving her entire estate to this Women’s Active Museum, which was built by the hands of the people, and founded on the principles of Matsui Yayori’s life.